Many of our guests stay with us when celebrating anniversaries, birthdays, Valentine’s Day; any number of celebratory occasions. If you are looking for some place extra special to indulge in a romantic dinner in downtown Wilmington here are some of our favorite spots. Each of these restaurants has their own unique flair yet they all share the common theme of “farm to table” with chefs who procure fresh, local ingredients. 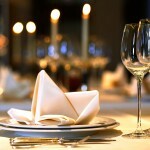 You can enjoy wonderful service and fantastic ambiance at all of them! Manna is fantastic for dinner and features live music on Bourgie Nights. Aubriana’s specializing in upscale new american cuisine. Caprice Bistro a Parisian style French bistro with an intimate sofa lounge upstairs. Rx Restaurant and Bar has a daily changing menu and “garden to glass” cocktails. Pinpoint Restaurant locally sustainable seafood. We hope you enjoy your Valentine’s Day celebration at the beach with us and that you take advantage of the casual charm our area has to offer. As foodies, we love to dine out when we can and we always look forward to hearing about your food adventures around town, so let us know what you think!